Lawyers for former Trump campaign adviser George Papadopoulos said the future president "nodded with approval" when Papadopoulos offered to arrange a get-together with Russian President Vladimir Putin, according to a sentencing memo from Papadopoulos' legal team released late Friday. In the same memo, Papadopoulos' lawyers argued he should serve no jail time after he pleaded guilty to lying to the FBI when interviewed in January 2017. He is set to be sentenced on Friday. The former campaign foreign policy adviser's lawyers also claimed in the memo that current Attorney General Jeff Session was even more eager to set up a Putin meeting than Trump. 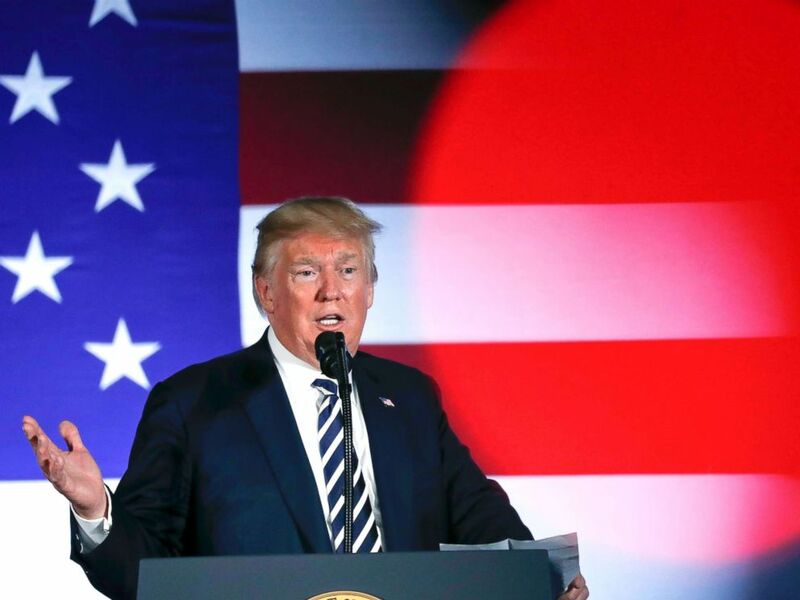 President Donald Trump speaks at a fundraiser at the Carmel Country Club in in Charlotte, N.C., Aug. 31, 2018. "Eager to show his value to the campaign, George announced at the meeting that he had connections that could facilitate a foreign policy meeting between Mr. Trump and Russian President Vladimir Putin," the sentencing memo states. "While some in the room rebuffed George’s offer, Mr. Trump nodded with approval and deferred to Mr. Sessions who appeared to like the idea and stated that the campaign should look into it." Congress has repeatedly grilled Sessions about his recollections of the March 2016 meeting in which Putin was discussed, eventually telling the House Judiciary Committee he pushed back on the suggested summit. 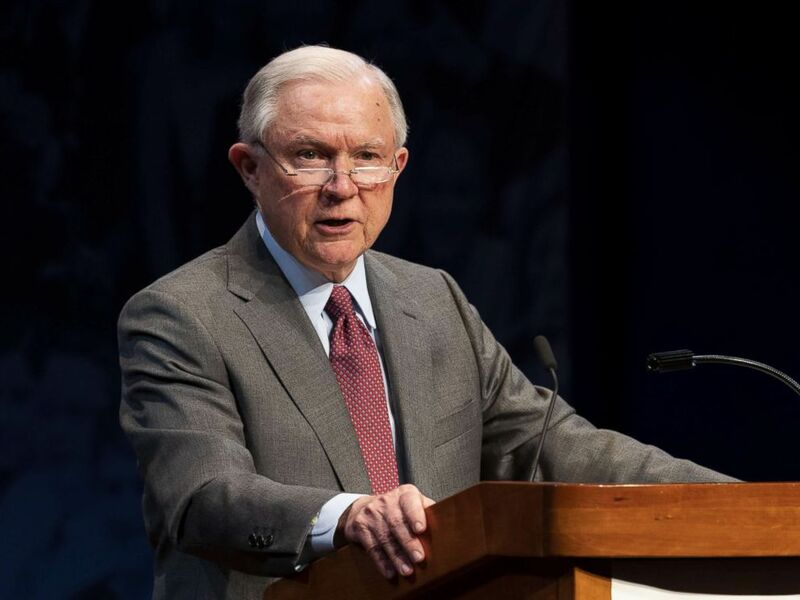 Jeff Sessions speaks at the Turning Point High School Leadership Summit in Washington, D.C., July 24, 2018. "I do now recall the March 2016 meeting at Trump Hotel that Mr. Papadopoulos attended, but I have no clear recollection of the details of what he said during that meeting," Sessions said during his testimony. The court filing puts to rest weeks of hand-wringing that played out in public, as Papadopoulos’s wife and informal spokeswoman went on television to suggest he might withdraw his plea. She told ABC News on Wednesday he had decided to stick with his decision to plead guilty. His lawyers used Friday's sentencing memo to argue the then-28-year-old was not malicious, just in over his head, blinded by loyalty to candidate Trump and that his lies to FBI agents did not hinder the special counsel's investigation. "George will take responsibility for some inaccuracies during the interview with the FBI," his wife, Simona Mangiante Papadopoulos, said in a statement to ABC News on Wednesday, adding that she hoped the judge determining his fate would not send the former Trump campaign adviser to jail. The sentencing memo echoes those sentiments. Papadopoulos was interviewed by the FBI in Chicago on Jan. 27, 2017, when they surprised him at his parents' house. "George found himself personally conflicted during the interrogation as he felt obligated to assist the FBI but also wanted to distance himself and his work on the Trump campaign from that investigation," the sentencing memo states. "Attempting to reconcile these competing interests, George provided information he thought was important to the investigation while, at the same time, misleading the agents about the timing, nature, and extent of his contacts with Professor [Joseph] Mifsud, Olga, and Ivan Timofeev. "In his answers," the memo continued, "George falsely distanced his interactions with these players from his campaign work." Papadopoulos had met with Mifsud, a London-based professor, who facilitated a meeting with Olga, whom he told Papadopoulos was Putin's niece. The meeting came a week before his promise to Trump and Sessions that he believed he could organize a meeting with Putin himself. Following that campaign meeting, he met with Timofeev, who Mifsud told him had connections to the Russian Ministry of Foreign Affairs. 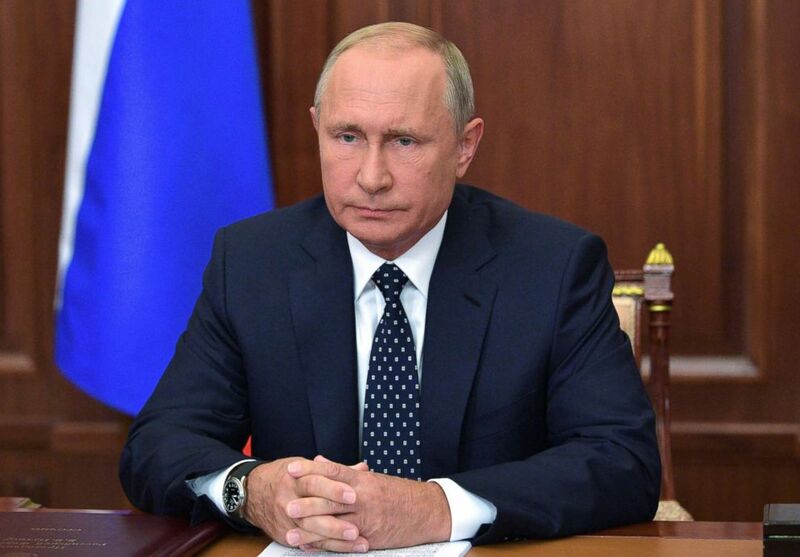 Russian President Vladimir Putin speaks during an address to the nation concerning a pension reforms proposed by the government, in Moscow, Aug. 29, 2018. The Putin meeting never came to be, and Papadopoulos began cooperating with Mueller's probe after his arrest on July 27, 2017. 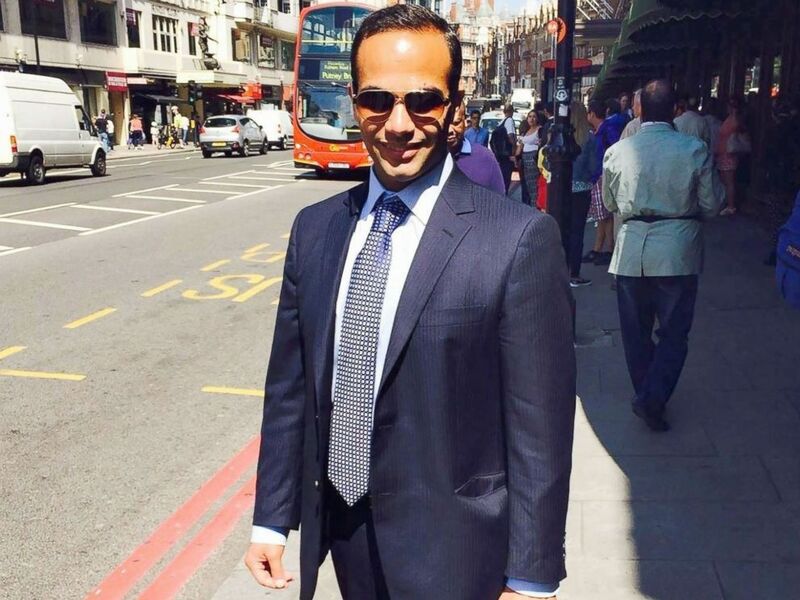 Earlier this month, prosecutors with the special counsel recommended Papadopoulos serve up to six months in jail for lying to federal investigators, arguing that he should be held accountable for having repeatedly misled them about "critical facts, in an investigation of national importance, after having been explicitly warned that lying to the FBI was a federal offense." "The nature and circumstances of the offense warrant a sentence of incarceration," prosecutors wrote. Papadopoulos' wife tweeted late Friday that she hopes the judge will show mercy. I trust that the facts are clear now. Hope for a fair decision. The defense sentencing memorandum is a very accurate portrayal of George genuine cooperation and the fact that he never hindered the investigation. #freeGeorge ?